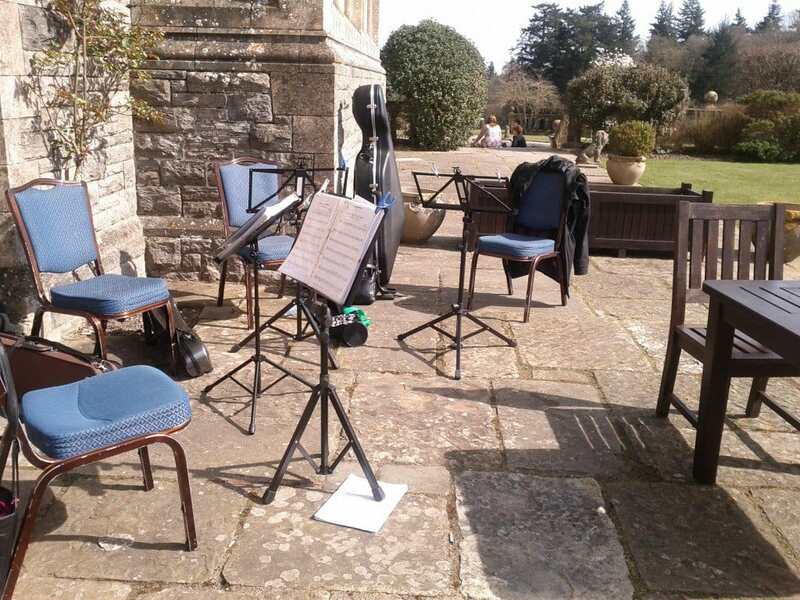 We love playing at Rhinefield House weddings – a sumptuous venue in the heart of the New Forest with beautiful gardens. It’s one of our most popular requested venues and we can see why! We are delighted to have kicked off the season with a beautiful wedding at Rhinefield House. 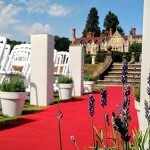 One of the lovely handpicked hotels group, Rhinefield House benefits from a spectacular garden. Our couple were lucky enough to have a sunny day in March, and guests were able to enjoy drinks, music and photos outside. We played up on the Mistrels Gallery for the ceremony. The bride had picked to enter to Gabriel’s Oboe, a lovely piece of music and perfect for a bridal entrance. When we saw the bride afterwards, she told us that her entrance was exactly how she’d imagined it to be. We then changed gear slightly for the signing of the register, and we played Foo Fighters Everlong (famous from Monica and CHandler’s wedding in Friends), and David Bowie’s When the World Falls Down. This song was made famous in the film, Labyrinth. All in all, a great choice of music for our couple at Rhinefield House!